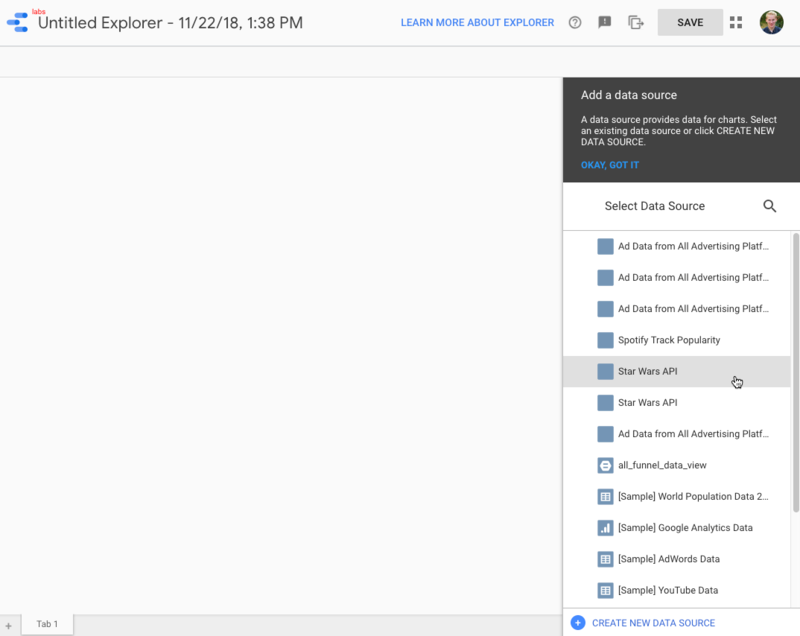 How can I troubleshoot my Google Data Studio Connector? 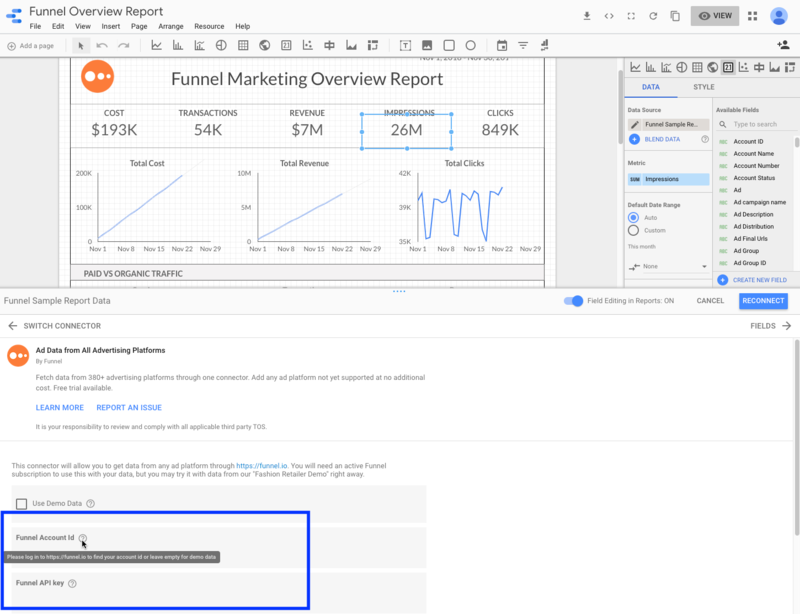 Using our Data Studio Connector makes it easy for you to access all your Funnel data directly in Google Data Studio (GDS). If you are experiencing any issues or errors with your data, here are some steps to try. Some data sources, for example Google Sheet is treated as a static data source. Therefor, you sometimes need to manually hit refresh to get up to date data. Even for non-static sources, the data sometimes gets cached for better performance and you would again need to hit refresh to force it to reload and fetch new data. You find the Refresh data button in the top right corner. When the connector data source is updated with new dimensions, metrics or other settings, you will need to refresh the fields to get it up to date. You can do this by following the steps bellow. 1. Click the Edit button next your Data Source (or you can go to the top menu bar Resource->Managed added data sources->Edit). 2. Click the REFRESH FIELDS button at the bottom left corner. 3. Wait for the refresh to complete, if any changes were made there will be a pop up window prompting you to confirm, if so press APPLY. In some cases the above steps are not enough and you need to reconnect and re-authenticate the data source. Click the Edit button next your Data Source (or you can go to the top menu bar Resource->Managed added data sources->Edit). 3. 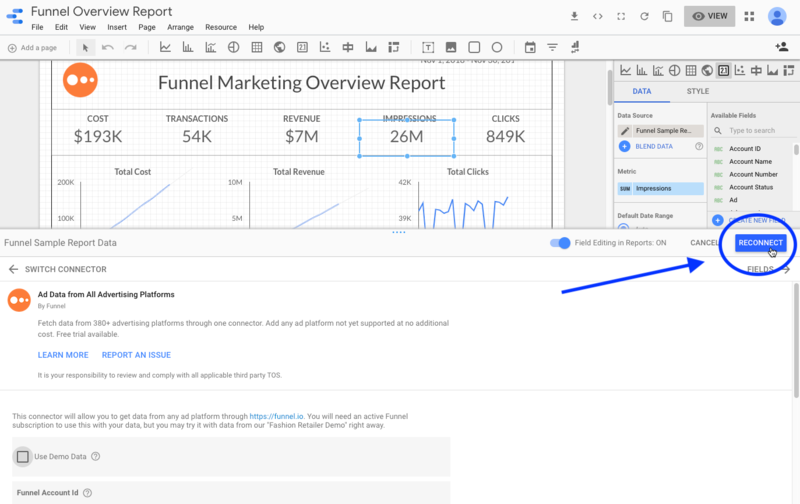 If you are using the Funnel Connector, it will ask you for your Funnel Account Id and your Funnel API Key. 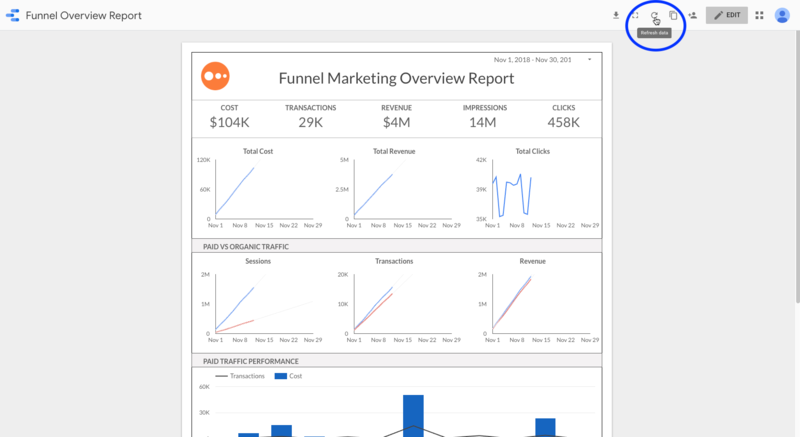 These can be found by logging into your account at https://funnel.io and navigate to the the Data Studio page in the left menu bar. Go to the connection page, using the instructions above. Check the 'Exclude calculated metrics' option. Reconnect. Data Studio will tell you that loads of fields have been removed; this is OK, we put them back in the next step! Go back to the connection page and uncheck the 'Exclude calculated metrics' option, including the metrics again. Reconnect. 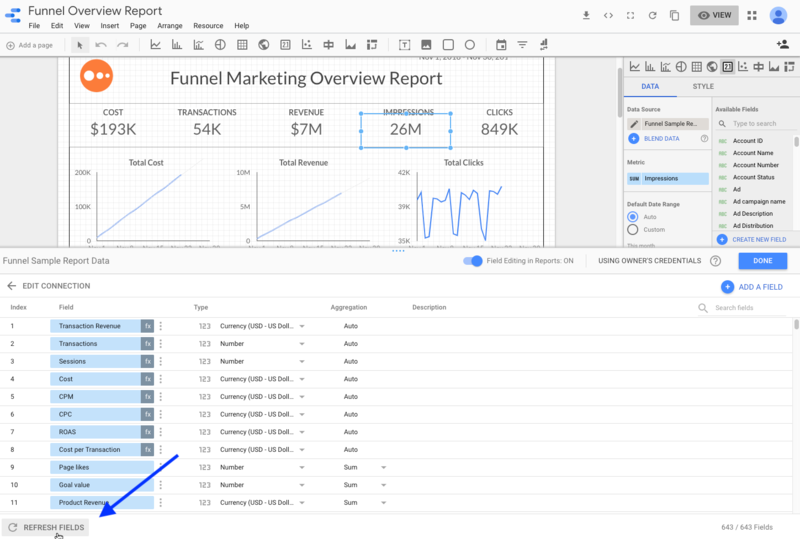 Data Studio will tell you that loads of fields have been added, which is great, all the fields should be back, with updated formulas. Sometimes the problem can be caused by one of your charts. 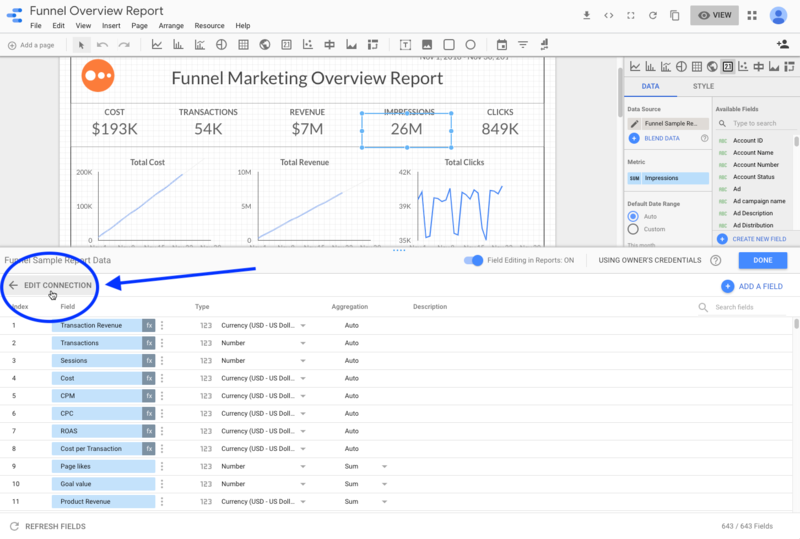 To isolate the problem and see if the underlying data source is working as it should, you can use the Data Studio Explorer feature. 1. 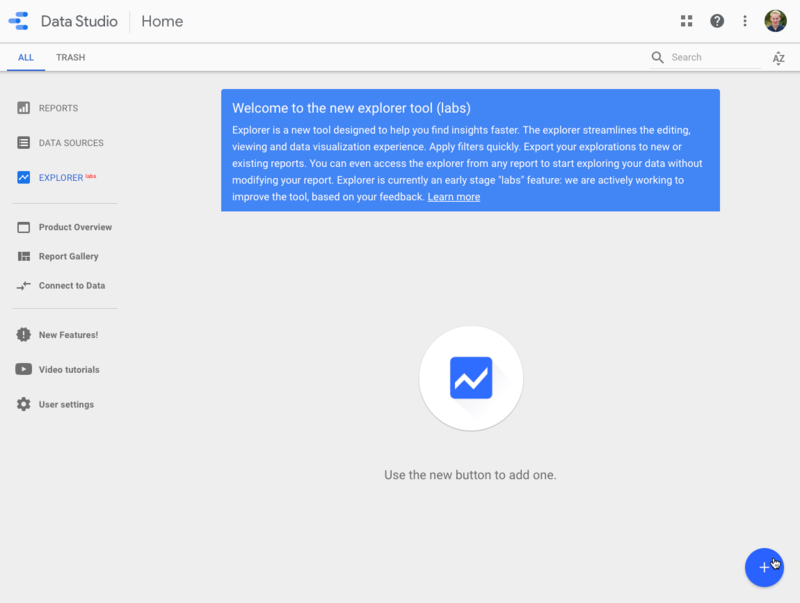 You can find the Explorer tab in the Data Studio home page. 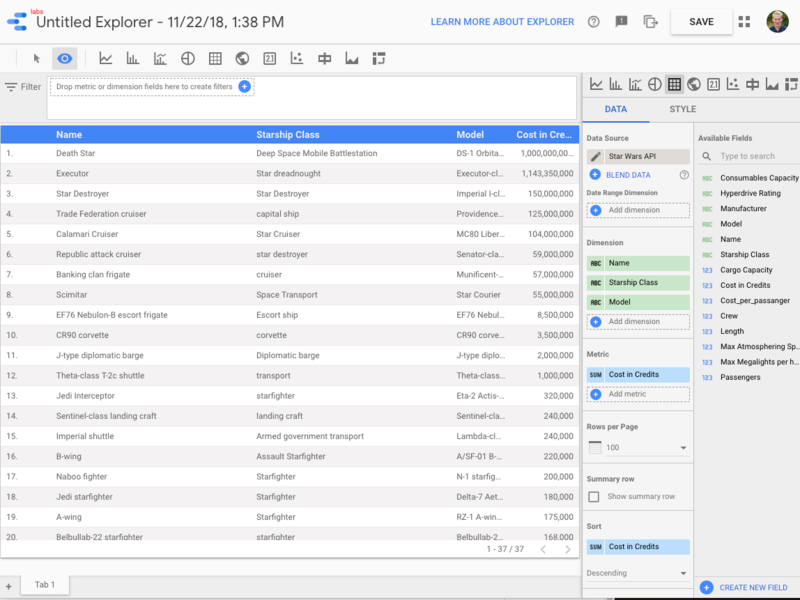 Press EXPLORER. 3. In the right menu select the data source you want to explore. 4. 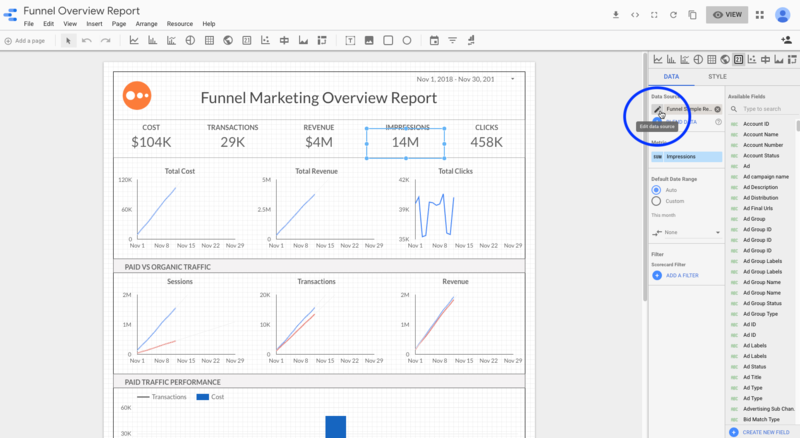 In the Data Studio Explorer, you can test out your various metrics and dimensions. If things are working here, you most likely have a problem with one or more of your Charts/Widgets in your Data Studio Report. Please let us know using the support chat or support@funnel.io if you are still experiencing issues. Providing information from the above steps helps us resolve the issue as fast as possible. If you are experiencing slow performance in your Report, have a look at: Why is my Data Studio Report so slow?